I love an indulgent foodie (and drinkie) weekend break and with my 40th birthday presenting the perfect excuse (and my messed up knee preventing me from jetting off to Hawaii), I couldn’t think of a better place to celebrate than Brussels where chocolate, fries, mayonnaise, waffles and Belgium beer were all on the menu. As you’ll see from the pictures below, I did a lot of food and drink based research during my weekend in Brussels (you’re welcome) with breakfast often expanding into lunch before blending into Dinner. 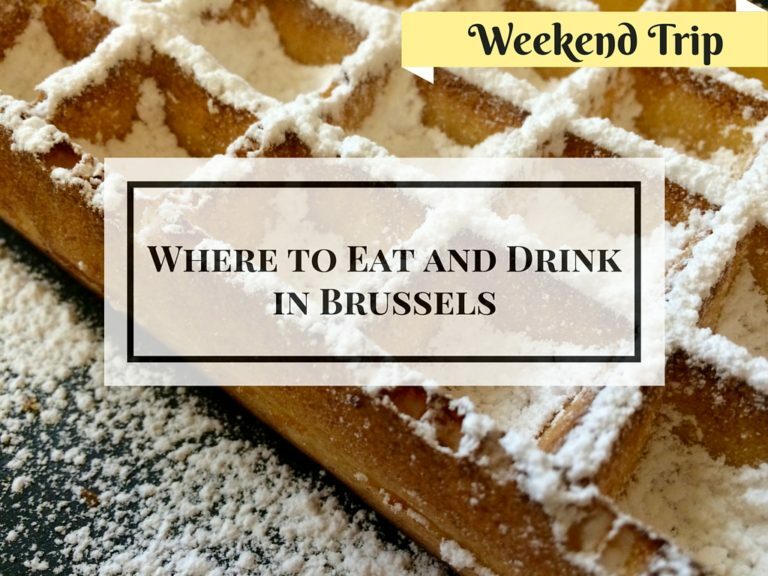 The upshot: here’s my tried and tested recommendations for where to eat and drink in Brussels on a weekend trip. One of my favourite parts about city break on the Eurostar is the fact I can pack an indulgent picnic for the journey. And, seeing as it was my birthday, a bottle of Champagne may have made it into the goodie bag too. St Pancras Station (London’s Eurostar terminal) is busting with picnic purchasing options. From sushi to burgers, there’s not much you won’t find. 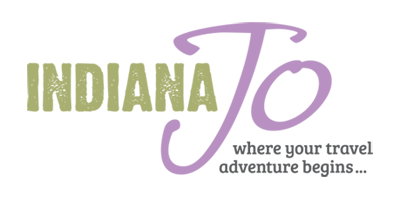 My favourite is Sourced Market, which has the feel of a farmers market with all manner of cheese, ham and deli items for sale as well as some pre-made sandwiches and salads. Unfortunately, I was running later on the morning of my trip, so I ended up picking up a yoghurt, fruit and coffee (breakfast) and a smoked salmon bagel (immediately-post breakfast brunch) from Le Pain Quotidien, just opposite the Eurostar check-in area. Incidentally, Le Pain Quotidien is a Belgian company, so it made for the perfect start to my trip. You’ll find a full list of the food and drink concessions at St Pancras here. St Pancras is a big and busy station so (note to self) build in enough time for picnic shopping. Marks and Spencer, just next to the Eurostar terminal, is great for picking up plastic Champagne flutes (and Champagne) if you’re choosing to really indulge. Don’t rely on the food concessions once you’ve passed the Eurostar security – I find them expensive and lacking in variety compared to what you can buy within the station. Don’t worry about liquids – although you go through a metal detector and your luggage is scanned, similar to an airport, you can take liquids through – in fact, the smart people at Eurostar even have coffee holders so your latte doesn’t spill as it trundles through the scanner. If you’re looking for a guidebook for your trip, check out Foyles, an old British bookstore opposite the Eurostar terminal. I picked up a copy of the Lonely Planet Pocket Guide to Bruges & Brussels. It’s got just enough info for a weekend trip, doesn’t take up too much space and has a handy pull-out map. That said, you’ll save a bit if you pick up a copy from Amazon before you travel. More information: You can book Eurostar tickets here. 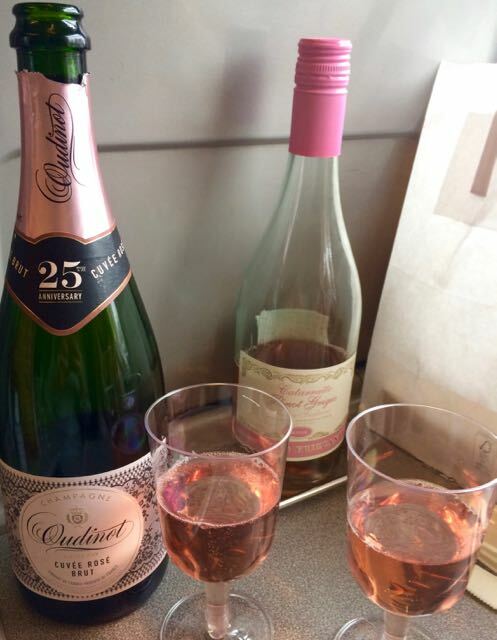 The train journey, which is just 2 hours from London, didn’t take nearly as long as I’d have liked and, to be honest, courtesy of a bit too much pink Champagne, I was a bit squiffy when I arrived in Brussels. I was too stuffed from all the eating and drinking I’d done on the train to give any serious consideration to a substantial lunch, but the idea of some chocolate really took my fancy. Fact: I’m a bit like a cow when it comes to eating. I can be entirely full from savoury foods but somehow seem to have a separate stomach when it comes to sweet food. My brain calls this a blessing. My waistline considers it a curse. In Brussels, it was a blessing. The chocolate shopping options in Brussels can be dizzying and you do need to take a bit of care about where you go. I wouldn’t claim to be a connoisseur (although if it’s true that 10,000 hours of doing something makes you an expert, I definitely qualify on that basis), however, just wandering between a few different shops, it becomes easier to spot the high-end versus tourist-focused (lower quality) shops – more on that below. In the end, I opted for a chocolate experience at Museo de Cacao et du Chocolat – I’m frustrated that my bust knee stops me from spending hours wandering around large museums but this tiny museum house right off the Grand Place is the perfect balance of the history of chocolate and chocolate demonstration and tasting. More information: You can find out about the museum on their website. There is an entry fee of €6. La Cure Gourmande, Neuhaus (the dude who invented pralines) and Godiva are all good options for buying high quality Belgian chocolates but they unfortunately come with a pretty hefty price tag. Great if you’re looking for a one-off treat. Not so good if you’re looking to take an armful home for the family. Sandwiched in between the premium brands are plenty of tourist chocolate shops – generally you can spot them because the chocolate is loaded into self-servce plastic containers and there is undoubtedly going to be a chocolate Mannekin Pis in there somewhere (as well as chocolate nuts and bolts and tools for some curious reasons). 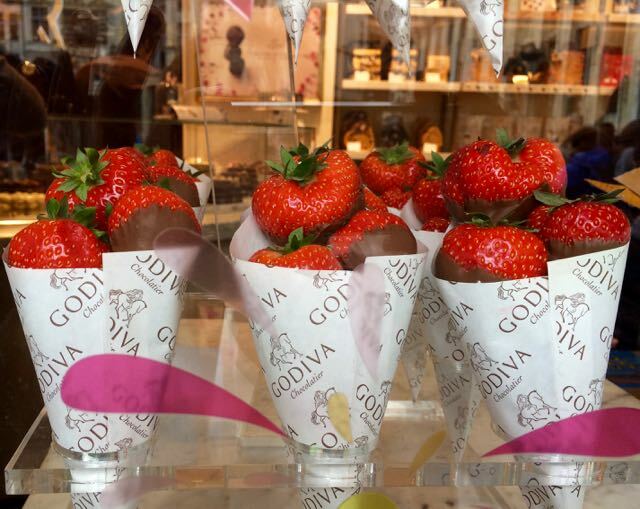 These shops tend to come with free tastings, too and you’ll quickly notice the taste difference. In a bad way. My advice: if you can’t stretch to the premium brands, pop into a local supermarket and pick up some pre-wrapped bars of Belgium chocolate. In my opinion, they taste much better and have a better price compared to what you’ll find in the tourist shops. If you have any chcoolate buying tips for Belgium, please share them in the comments below. 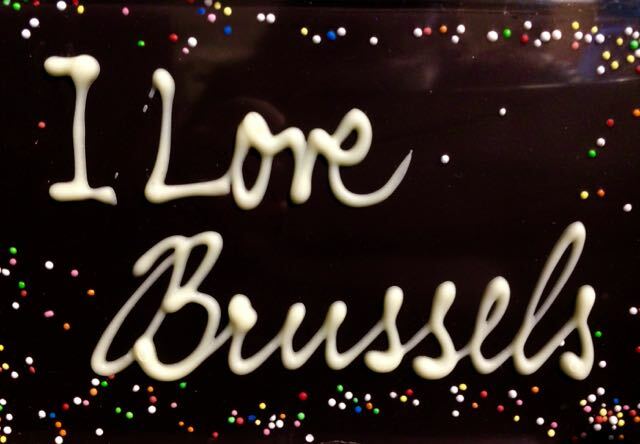 What makes Belgium chocolate so special? We all know that Belgium chcolate reins supreme, but do you know why? Apart from the fact that a lot of Belgium chocolate is still hand crafted, there are very strict rules on the quantity of non-cocoa fats that can be blended into the chocolate. 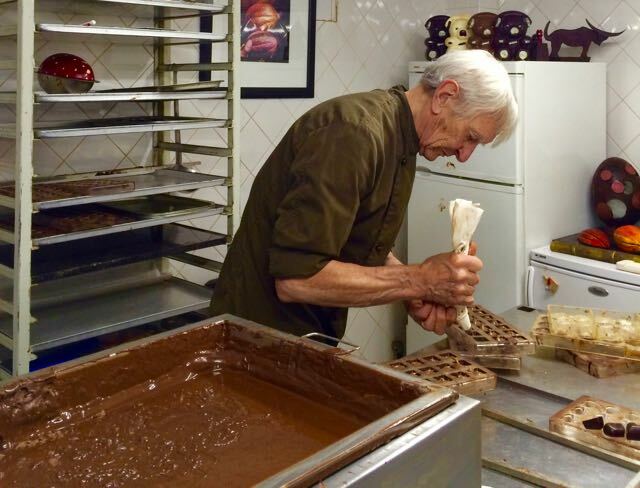 Belgian chocolate makers are only permitted to add up to 5% non-cocoa fats like palm oil and shea butter to their chocolates but even then most choclatiers in Belgium pride themselves on using 100% cocoa butter. What’s the big deal, you ask? Well, cocoa butter is the part of chocolate that melts in your mouth. Cocoa butter substitutes are, of course cheaper, but the quality just isn’t there. Given there are some products out there that contain no cocoa butter at all (often labelled ‘chocolatey’ or similar because they’re not technically chocolate), you can start to see why it’s a big deal. Check your chcolate labels and you’ll get a better understanding of the vast quality differences. You can read more here and here. And I absolutely love this detailed article if you want to become a chocolate snob. With Friday evening on the doorstep and over 150 Belgian beers to get through (ok, I didn’t even nearly complete the challenge but I have marked it down as a work in progress), it was time to find a bar. A la Mort Subite had cropped up several times in guidebooks, on blogs and websites and also from a friend’s recommendation. Handily, it was a short limp from my hotel and therefore made for a natural spot for some pre-dinner drinks. Belgium Beer…and where the hell to start? The thing with Belgian beer is that I find it completely intimidating. I don’t know how I became so familiar with wine that I can confidently flick through a phone directory’s worth of wine list and immediately pick out a couple of bottles I know I’ll like (ok, I do know – it was practice…many weekends of practice), but I haven’t invested in the same level of self-schooling with Belgian beer. The result: for every good bottle of Belgian beer I’d randomly order, there were another four I’d order that I didn’t like to the point that I eventually gave up. Fortunately, I have a wonderful friend who absolutely is an expert on Belgian Beer (he’ll happily take a four hour trip into the Belgian countryside to hunt down a Trappist brewery). Double fortunately, I’ve spent decades socialising with this friend so he knows my tastes pretty well…better than I do, probably. So, armed with an email from hom the day before my trip, I was ready to order. Entering A la Mort Subite, it’s immediately obvious that the tourist to local ratio is about 10:1. I’m not necessarily against this because I am, after all, a tourist and, as in this bar, it was wonderful to sit down and chat with neighbouring tables about where they were from, how long they were in Brussels for and what they were drinking. What didn’t go down so well was the waiter. Hurried into ordering, I just about had long enough to pull up my “Beer Email’ on my phone and point to the beer at the top. 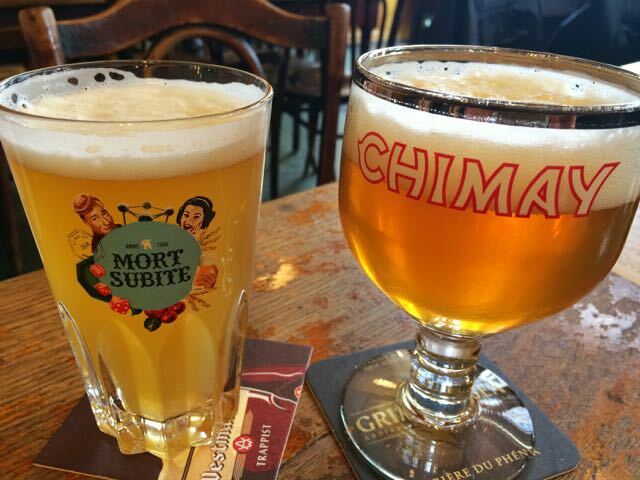 Unfortunately, my friend hesitated for 2 seconds too long (a total of 4 seconds) and was served up, without choice, the local A la Mort Subite brew which was, obviously, vile. So vile, in fact, that we ended up ordering and paying for a third beer (from my Beer List) and leaving the sweet dishwater to one side. It wouldn’t stop me recommending this bar, just be armed with your beer order before the waiter comes. More information: You can find out more about A la Mort Subite here. What beer to order in Belgium? Chimay – this was a good starter beer and the closest tasting to a ‘normal’ beer that I had in Belgium. If I was ever in doubt, this was my go-to choice. Westmalle – I’m a sucker for a dark beer and this ticked the box. Very stouty but without the thickness of Guinness, I could definitely drink a few of these. In fact, I may have actually drunk a few of these. Trappiste Rochefort – another firm favourite, my friend advised me that the beers brewed by the Trappist monks were some of the finest you’ll find and he wasn’t wrong. But, boy do those beers come with some clout. Compared to our British beers that hover under 5%, these Rochefort brews at 6%, 8% and ‘what’s-my-name-again’ 10% literally blew my mine. Orval – full disclosure, I drank one of these but it was after I’d tried the Rochefort 10% so I have little to no recollection of it’s taste. Hic. Kwak – if you’re after some fun (read: bachelor party), you might want to try some kwak. The beer itself isn’t the focus for most first-timers, it’s the boot shaped glass that gives a ‘quack’ or ‘kwak’ when your get to the bottom of the glass. Not that I’m condoning ridiculous behaviour, but drinking the whole glass in one go is a popular activity…with some people…so I’ve heard. Lambic beer – I didn’t get around to tasting a lambic beer, largely because the words ‘exposed to wild years and bacteria’ put me off but if you’re looking for something unusual, this is the way to go. They’re pretty rare so I suppose I should try one some day – just not this day. 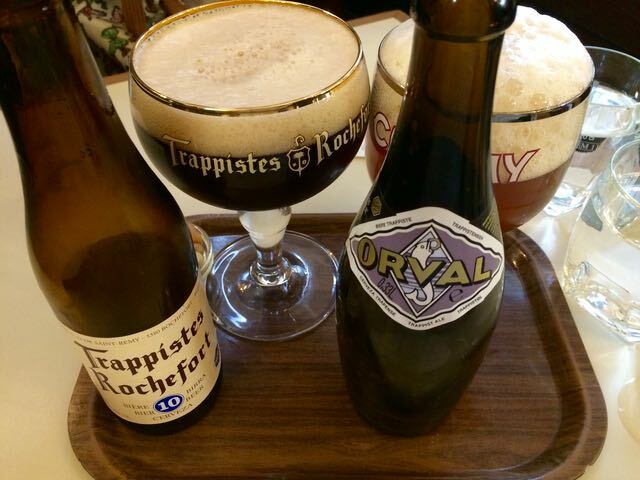 By the way, I’m loving Beertourism.com for all things Belgium beer. I was borderline full from beer by the time I turned up at Bonsoir Clara, but that concern quickly fell away. Although the fascia of Bonsoir Clara was the kind that you’d walk past without noticing, the atmosphere inside quickly told me this was a place the locals were keen to keep quite. Quite unlike the crowd at A La Morte Subite, I’d put the tourist to local ratio at an opposite 1:10 and the service was off the charts welcoming. Settling in for what was to be a long, slow dinner (with no hassle to eat up and ship out), the waiters gave ample time between courses. Here’s what I ate. Salmon carpaccio is one of my favourite options so I was absolutely going to order it on my birthday. 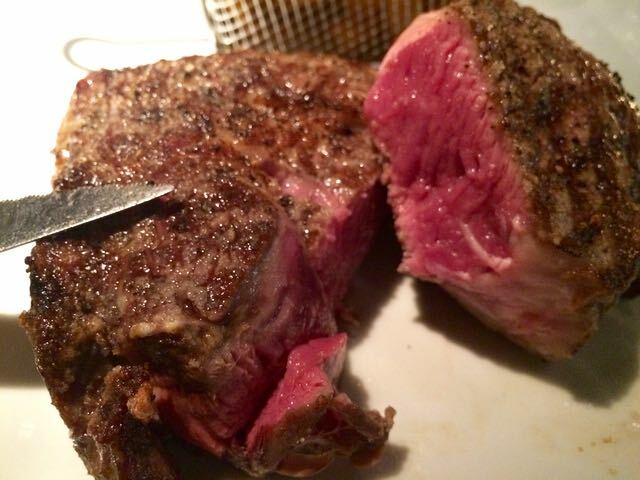 And then, of course, I went for beef. 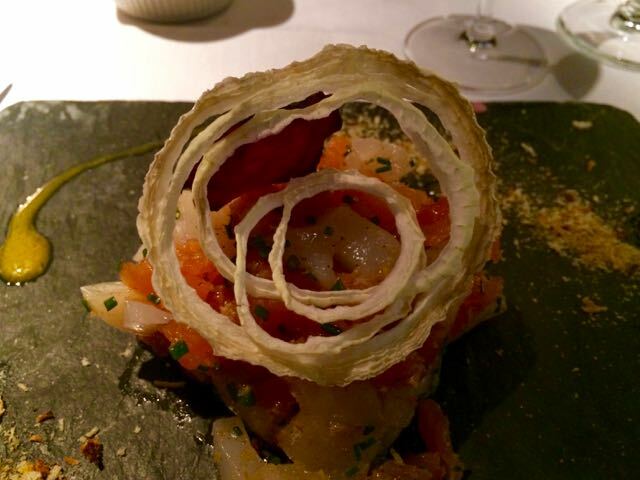 I had high hopes that the chef would be able to serve some perfectly cooked raw beef and I wasn’t disappointed. It came with a cute ‘trolley’ of frites but I’m usually so focused on the meat I barely register the side dishes, as my photo reflects. 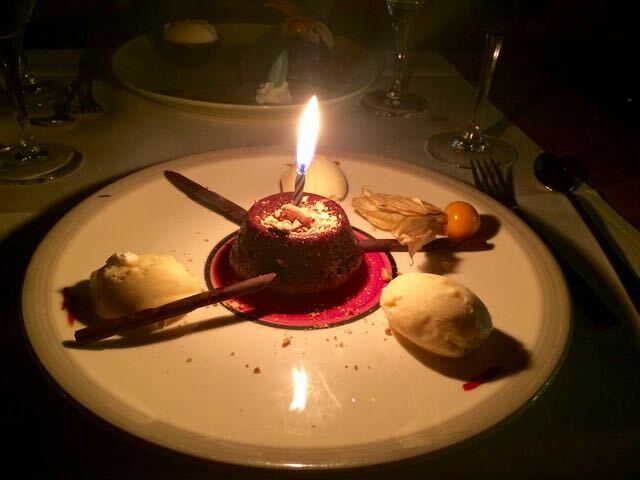 Dessert was a complete surprise and came with a candle – I can’t impress enough how welcoming the staff were at Bonsoir Clara. More information: You can check out the menu and location of Bonsoir Clara here. Note: the website is a bit dated, but don’t let that put you off. I planned my trip to Brussels before the bomb attacks on 22 March 2016 and I had no intention of cancelling my trip because of the malicious intent of a group of idiots. I don’t want to linger on the topic of terroism and travel. However, I do want to say that Brussels felt 200% safe and, had I not known about the attacks, I wouldn’t have suspected anything – the city was very much business as usual and there were certainly plenty of tourists enjoying the city. I visited less than a month after the attacks and I’d happily recommend the city to others who are unsure about visiting. 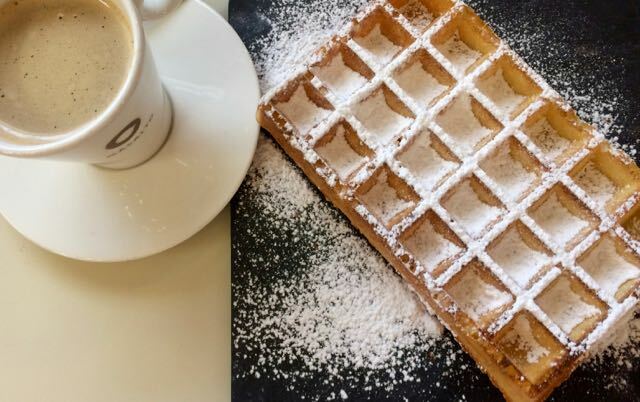 Located within the beautiful Galleries St Hubert, just off the Grand Place, Mokafe is a bit of an instituion when it comes to waffles in Brussels and came up frequently when I was researching where to eat and drink in Brussels. Quite by chance and before any waffle-related research, I’d wandered into this cafe the day before for a quick pit-stop. The staff were amazing and the cakes and pastries table looked like the kind of thing you’d happily dive face first into, so I was pleased to have an excuse to return. Now, I have to confess that a) I’m not a huge fan of waffles and b) I was VERY reluctant to have them in their natural (recommended) form topped with just icing sugar because it sounded dry. The only way I’ve enjoyed waffles in the past is doused with maple syrup and even then the waffle was merely a vessel for delivering the syrup. However, when in Belgium, it’s only right to have a Belgian waffle, Belgian style. So, I ordered mine plain with the icing sugar and in one bite all of my preconceptions and past experience of waffles disintegrated. As did the waffle in my mouth. This wasn’t the doughy, dry piece of sponge that I was used to. It was crisp and fluffy and somehow, without being fatty, was perfectly moist. Imagining I’d take a photo, take a waffle then push the remainder aside, I found myself having a battle with my belly to force the last four squares in. I didn’t quite manage it (see earlier reference to two breakfasts) but it wasn’t because I didn’t want to. More information: You can find out more about Mokafe here. After (my second) breakfast, I waddled around the city for a while, with the goal of working up an appetite for lunch. Having ticked off the Mannekin Pis, Jannekin Pis (the female version of the peeing boy, which is just as odd), Grand Palace and Maison de Roi where you can see hundreds of the outfits the Mannekin Pis outfits, I was just about ready for lunch. 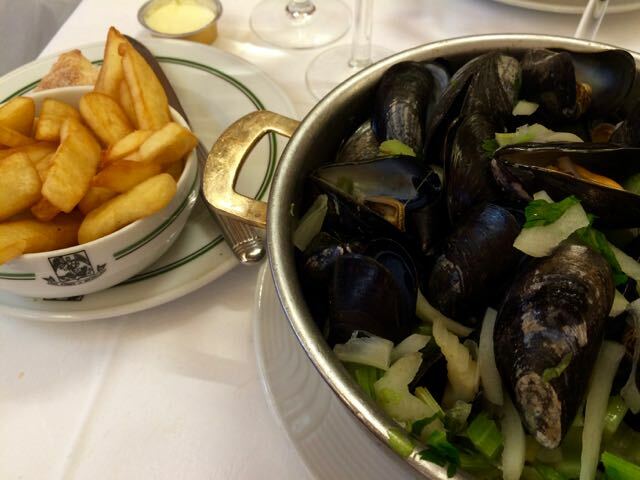 Naturally, moules-frites were on the menu and I choose to eat them at Aux Armes de Bruxelles. …except it probably wasn’t, as it turned out. Things started well, with a mostly Belgian crowd inside and I was instantly taken with the ornate interior and crisp linens. But the moules-frites simply didn’t stack up. Now, I write this against the backdrop that last year I had some pretty horrible food poisoning from oysters and it’s taken a lot of time and dedication to throw myself back into the seafood eating world, but even my travel friend, who grew up in France and Switzerland, and has eaten more moules-frites than I have the capacity to count, gave the dish a thumbs down. With an overpowering flavour of celery stock and not much by way of wine (apart from what was in my glass), I wasn’t at all impressed. I’ve also since learned that mussels were not in season at the time of my visit (the season starts at the end of June/July) and most restaurants good won’t serve mussels out of season. Despite Aux Armes de Bruxelles being commonly considered one of the restaurants that falls into that ‘good’ bracket, it was a shame they didn’t try to steer me in a different food direction. I didn’t have the stomach space to squeeze in a review of a second moules-frites place so if you have any other recommendations, do let me know in the comments below. More information: You can find out more about Aux Armes de Bruxelles here. Thanks to a pre-dinner nap, my stomach had replenished itself and was once again ready to eat. Of course, it’s simply not civilised if you don’t stop for a pre-dinner cocktail or glass of Champagne and I choose the lounge bar at the Dominican Hotel. With dinner reservations just around the corner at Belga Queen, the hotel wouldn’t otherwise have been on my radar but I’m glad I strolled by. Decorated in a style that screams 5-star hotel, the hotel bar came complete with ‘don’t-make-me-leave’ chairs, plinky music and the history that it was once a Monastery. My glass of Nicolas Feuillate Champagne, which also happens to be one of my favourites, was perfect and my friend’s cocktail, which I took a cheeky sip from, was top-shelf liquors with all-fresh ingredients. No sickly syrups here. More information: You can find out more about Hotel Dominican here. I can’t remember the last time I had so much fun at dinner. Belga Queen is a gigantic cavern of a restaurant with vaulted ceilings and a level of atmosphere that instantly tells you that you’re in for a good time. Although the service wasn’t quite so personal and attentive as the night before, the staff were friendly and impressively efficient given the number of customers they had to service. In fact, when my starter arrived, it was the waiter who spotted that it was wrong before I did and quickly rustled up the right dish. Part of the fun was having a (very clean, if you’re fussy about these things) iPad for a menu. In 2016, it pleases me immensely that I’m able to click and scroll my way through the dishes on offer. Fortunately, you still get the human interaction and personal recommendations because ordering remains old-school with a waiter. A lovely balance. 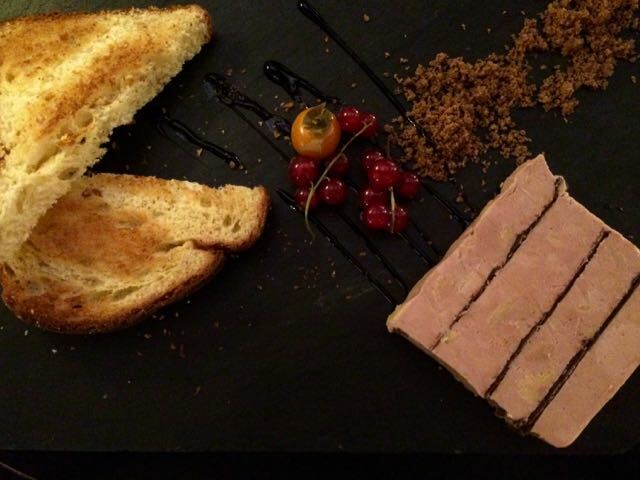 Apologies if you’re offended by foie gras, but that’s where my meal started. Complete with thin, crunchy slithers of chocolate leaves, I didn’t want this to end. 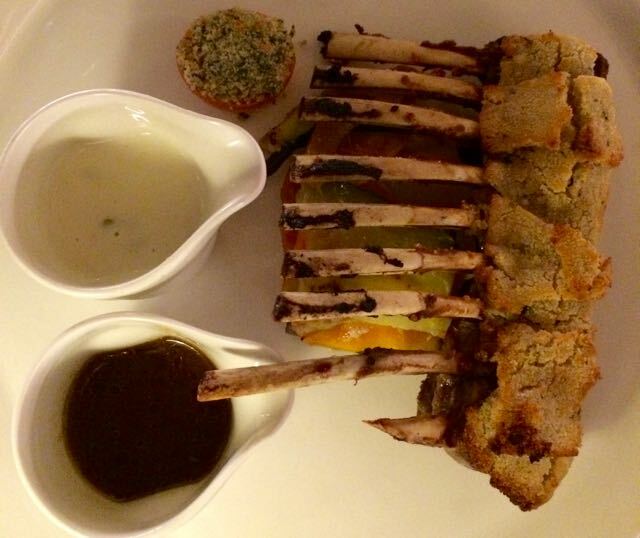 Forcing myself not to order beef for the second night in a row, I tried the rack of lamb which was juicy and tender and a very decent beef substitute. 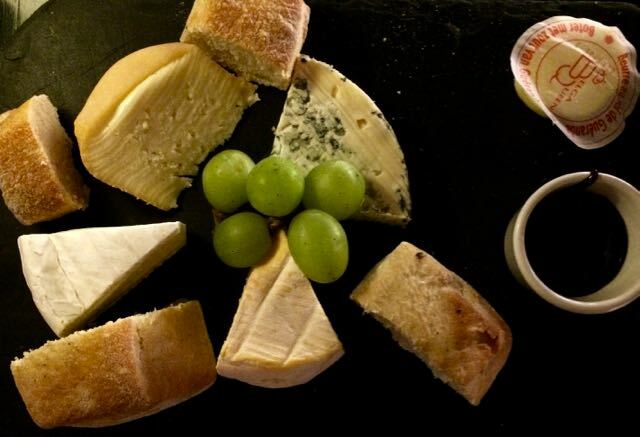 The chocolate leaves had satisfied my sweet tooth so dessert was an indulgent cheese board because…cheese. More information: you can find out more about Belga Queen here. 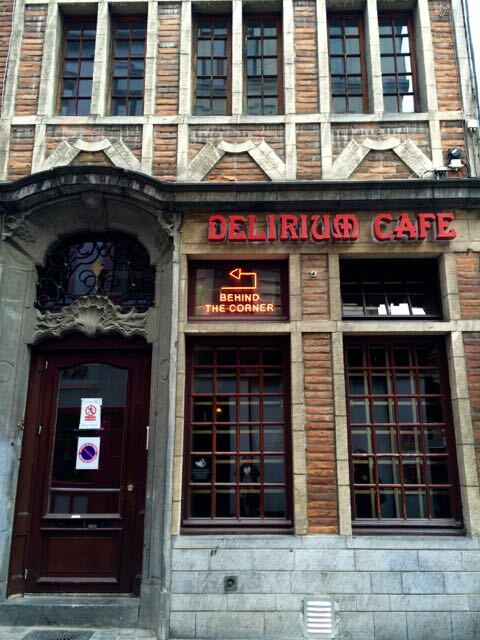 If you’ve still got some energy and you’re up for trying more Belgian beers, then head to Delirium Cafe. 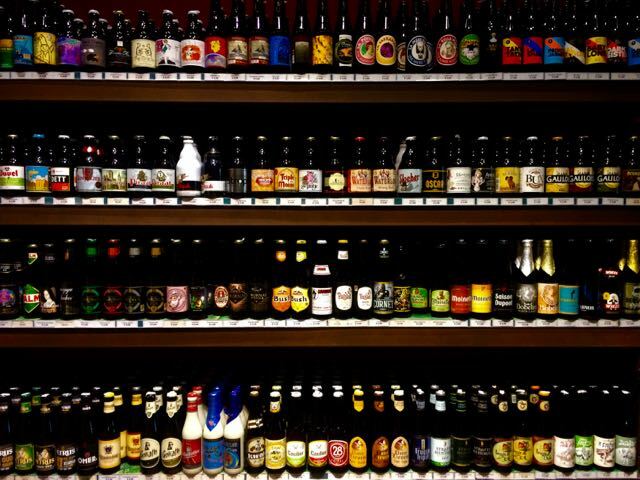 Gaining a spot in the Guinness Book of Records in 2004 for stocking the most amount of beer brands (2004, to be exact), this is definitely the place if you want the full range of Belgian beer to choose from (or if you’re hankering for some other global brew). It also came up as one of the best beer spot when I was doing my research on where to eat and drink in Brussels, but it was a message from a Belgian travel friend that ultimately persuaded me to go. More information: You can find out more about Delirium Cafe here. Breakfast was a much lighter affair on my final day in Brussels – largely because I knew that Belgium’s world famous frites and mayonnaise were on my lunch menu. 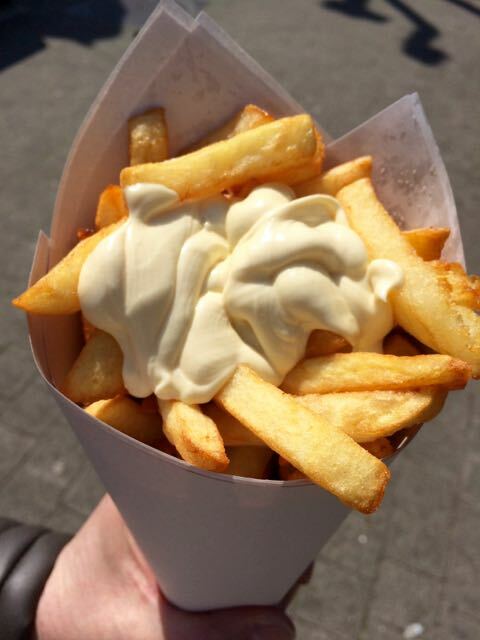 It came as no surprise that Google spat out over half a million results when I typed in “where to eat frites in Brussels”, and, of course, there was a lot of lively debate as to which of the multitude of places comes out top. In the end, I was torn between Maison Antoinne and Frit Flagey but opted for the former because of the reviews. The queue was long when I arrived though thankfully not as long as some of the online comments had suggested. The line moved reasonably quickly, though not as quickly as I’d have thought given the fact that the servers mainly just needed to scoop some fites into a cone and apply a dollop of sauce. The verdict…I’m afraid to say is I’m just not a fan. I know, I know, I’m sorry but the combination of twice fried frites (which is one of the things that makes Belgian frites what they are) and the rich, creaminess of the mayonnaise was just to heavy for me (even with a bit of a hangover from my Saturday night indulgences) and I couldn’t finish my small cone. However, the frites went down a storm with my friend, right down to the last crumb so I guess it comes down to personal taste. Or the size of your hangover. More information: You can find out more about Maison Antoinne here. After lunch, I popped into one of the nearby bars that line the square where the frite van is parked. Conveniently, most of the bars allow you to enjoy your frites at the bar. I was full to my eyelids with food and drink, so a small Coke was the final thing I consumed in Brussels but it had otherwise been an amazing food and drink filled weekend. And the perfect way to start my 40’s. 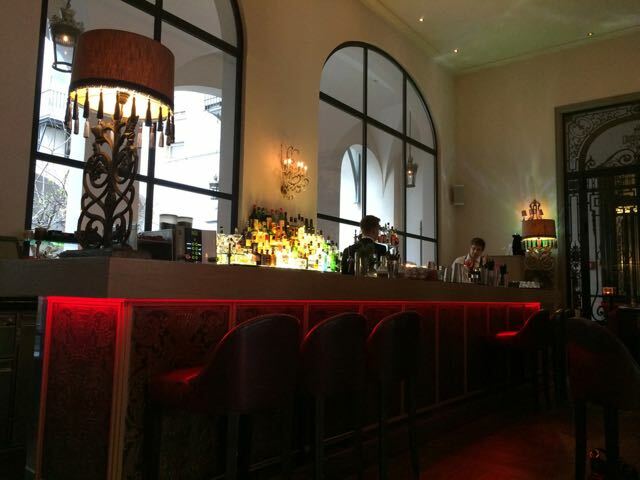 This hotel was wonderfully central – a five-minute walk to the Grand Place. It gets amazing reviews on TripAdvisor (almost 5 stars). The staff was very welcoming and the hotel and rooms had an urban loft feel. Had I stayed longer, I’d have liked to have spent a night curled up with a good book and a glass of wine in the cosy lobby area. Next time. 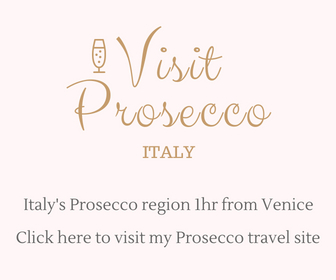 You can see the reviews on Tripadvisor and book here. I took the Eurostar direct from London St Pancras to Brussels Midi. The journey takes 2 hours and 1 minute. It was a 10-15 minute taxi ride from the Eurostar terminal to my hotel. Arriving, my data connection hadn’t caught up with the change of country so I took a taxi. On the return journey, I used Uber and saved around €10 on the price. If you’ve not used Uber before, use this code for money off your first ride: jof558ue. I used to be a ‘walk everywhere’ kind of tourist but ever since I bust my knee, I’ve become a huge fan of the City Sightseeing Buses. As in most countries, there are two sightseeing routes in Brussels and you can either complete both in one day (though you’d want to start early and not take many stops) or, get a two-day ticket and complete one line on each day, as I did. Although walking is probably the healthier option, especially when you scoff down as much food as I did on this trip, the bus has the huge advantage of offering up the history and background of the city – inner history nerd satisfied. More information: You can book City Sightseeing Bus tickets here. 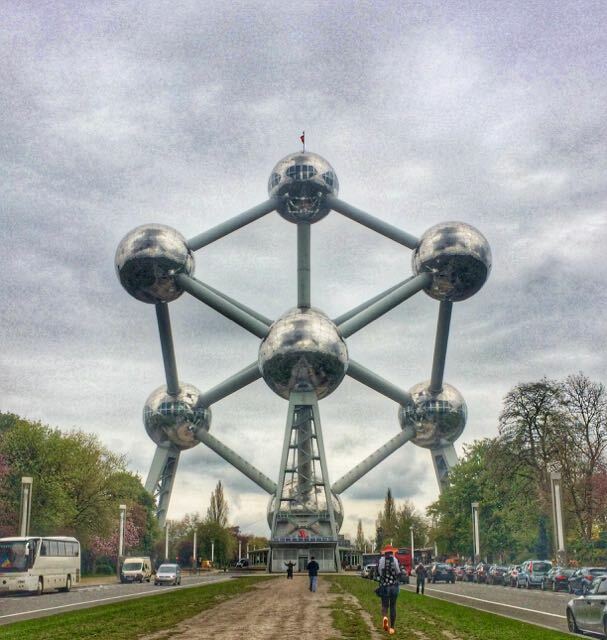 For more trip planning suggestions, check out Why Belgium. Have you been to Brussels? 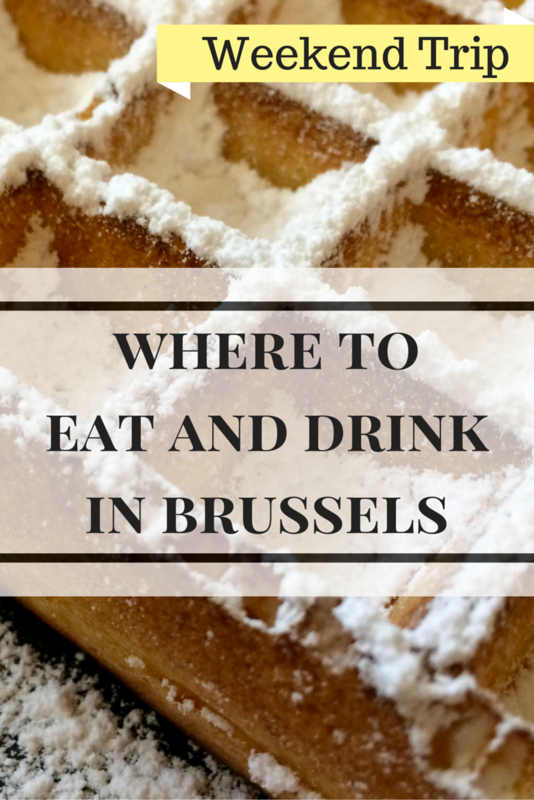 Any other suggestions on where to eat and drink in Brussels? Let me know in the comments below. My visit to Brussels was courtesy of the Belgian Tourist Office. Once again a very interesting post! Every time I learn something new in your articles. These all sound amazing! I need to get back to Brussels to try more! Lovely article, Jo! A place to check out in the future. It seems you had a ball. Thanks, Marijke 🙂 I can’t believe I’d not made it to Brussels before now!